The latest group of members to join the FCC are, as always, an interesting bunch. The membership committee meets regularly to go through the applications and are always impressed by the diversity of the prospective members. As you would expect there’s a healthy mix of Correspondents and Journalists as well as Diplomats and Associates – and all have interesting tales to tell – so if you see a new face at the bar, please make them feel welcome. Below are profiles of just some of the latest ‘intake’. Bill Cox is a British Chartered Engineer and has spent 40 years as a management consultant working with manufacturing companies to improve performance. Consultancy projects took him from the UK, across Europe, Southern Africa, the Middle East, India and Pakistan, then into the Asia Pacific region working from Hong Kong. Bill also spent 10 years in China working on major industrial development projects sponsored by the World Bank and UK DFID. A native New Yorker, Sunshine Farzan is an accomplished business leader who has held senior positions at MetLife, American Express, and Harte Hanks. She has lived and worked in New York, Mexico City, Sydney and Hong Kong. She currently serves as Head of Marketing and Communications for MetLife Hong Kong. Sunshine is a graduate of Rutgers University and has an MBA from the University of Michigan. She has been recognized as one of the top “40 under 40” marketers and a “Woman to Watch” in Asia. Bernd Hanemann was born and raised in the south of Germany near to the borders of Switzerland and France. Bernd moved to Hong Kong in 1985 and is the CEO of the Global Sourcing Office of the German Retail and Wholesale Group Metro. Bernd is also a member of the Royal Hong Kong Yacht Club and is a keen sailor and motorcyclist. Born in Liverpool, UK, James Legge is a copy editor working at the South China Morning Post. 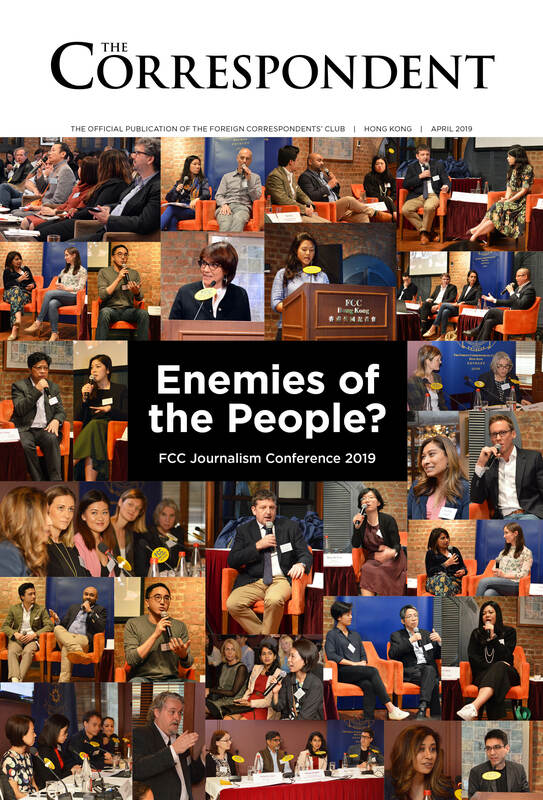 James spent 18 months freelancing as a reporter in Hong Kong for The Independent, Vice News, DPA and the Evening Standard, before joining The Post. James previously worked in London on staff at The Independent. James is also the presenter of the Hong Kong Football Podcast. Jeff Nankivell took up the post of Consul General of Canada in HK and Macau in August, 2016. In his 28 years in Canada’s foreign service, he has served once before in Hong Kong and three times in Beijing, most recently as Deputy Head of Mission, 2008-2011. From 2011 to 2016 he was Director General responsible for Canada’s official development assistance in the Asia Pacific region. His wife Alison Nankivell is Vice-President for Funds and Co-Investment with BDC Capital, part of the Business Development Bank of Canada, a Government-owned bank for small business. They are both fluent Mandarin speakers. Former Consul General of Canada to Hong Kong, and High Commissioner to Singapore, Doreen Steidle is HSBC’s Regional Head for Government Affairs in Asia-Pacific. Before taking up her position with HSBC, Doreen served on several Boards including Invest Ottawa and was on Canada’s delegation to observe elections in the Ukraine. She is the mother of four adult children, a PADI-certified Rescue Diver and most recently completed a 100 km trek across the Gobi Desert in winter in support of Water Aid. She is now on the Board of Governors of the Canadian Chamber of Commerce and the FCC’s Charity Committee. Lisa Yuriko Thomas recently relocated from San Francisco for her second stint at living in Hong Kong. She loves all things digital so is delighted to be working as senior producer and Asia Editor for AJ+, Al Jazeera’s digital only Channel. She is always on the lookout for great stories and new forms of video storytelling and social engagement. Swimming and yoga take up most of Lisa’s spare time.